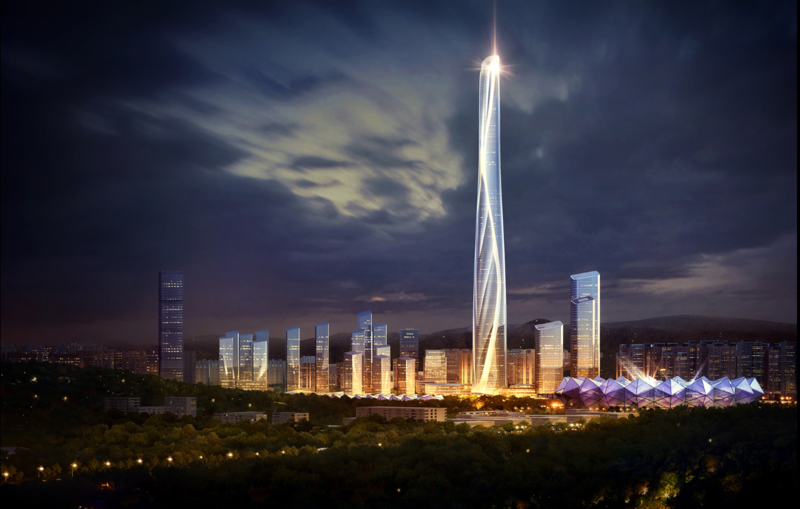 The building is being developed by China's Shimao Group and will be the Centerpiece to the Shenzhen Longgang Master Plan. 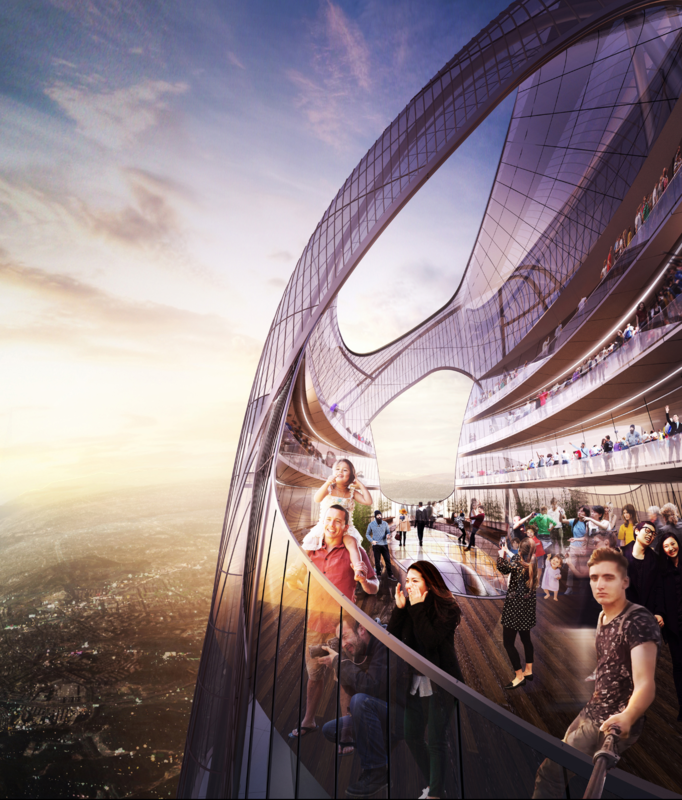 Adrian Smith + Gordon Gill Architecture (AS+GG) announced this month their competition win for the Shimao Shenzhen Longgang Master Plan and the associated tower, Shenzhen-Hong Kong International Center. Set between the foothills of Longcheng Park and the Dayun National Park, the site is adjacent to several major sporting venues. The graceful new tower references anthropomorphic characteristics, offering a new sculptural icon for northwest Shenzhen’s skyline. Adrian Smith + Gordon Gill Architecture (AS+GG) is dedicated to the design of high-performance, energy-efficient, and sustainable architecture. AS+GG approaches each project with an understanding that architecture has a unique power to influence civic life. The firm creates designs that aid society, advance modern technology, sustain the environment, and inspire those around us to improve our world. In addition to several commercial, cultural, and mixed-use projects in the United States, AS+GG is currently working on projects in the United Arab Emirates, Canada, China, and Saudi Arabia. The firm was founded in 2006 by partners Adrian Smith, Gordon Gill, and Robert Forest. For more information, please visit smithgill.com.